Looking forward to it too! I love both Amy and Meryl. Nora Ephron too. I was lucky enough to get tickets to a screening a couple of weeks ago. You're going to love it. 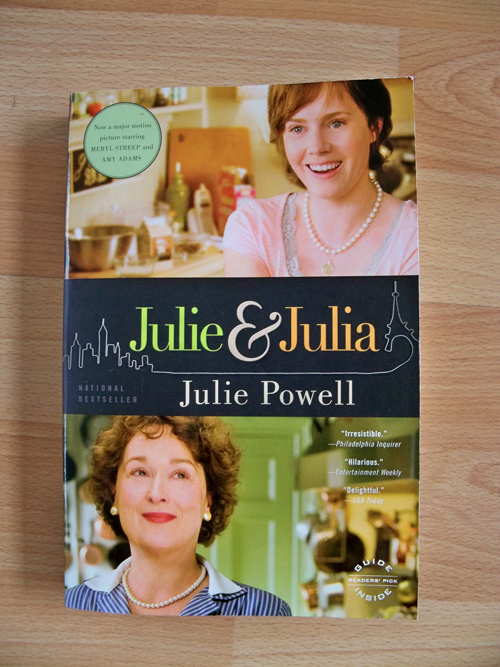 ooh, be sure to read julia child's memoir too - my life in france. I echo Valerie's comment. I just finished "My Life in France" last night and want to build a summer home and invite Julia Child's ghost to live with me. It's fabulous. I was going to recommend My Life in France but I see several people beat me to it... It is one of my favorite books EVER. So romantic.... just fabulous. You will want to move to France when you're done. I started reading the book and hit a road block: she claims to not like eggs!!! How can anyone not like eggs?? ?